Color correction is the balancing of your film from shot to shot — even if you shot with multiple cameras, on multiple days and in multiple scenarios, correction ensures that everything feels like one continuous piece. Color grading is more of the art or overall feel and style of your video. Our color grading artists will help your project reach it’s potential by using color to create an emotional feel of your film. 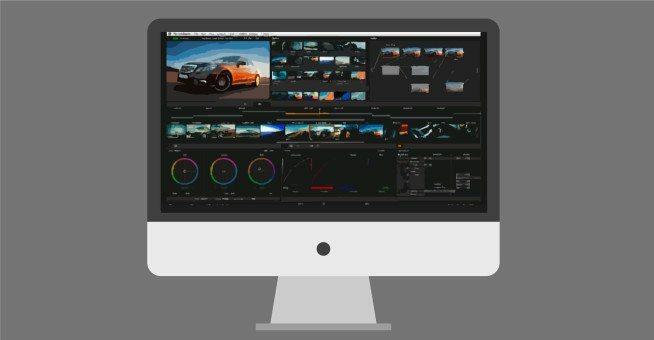 Simply put: Davinci Resolve is the leading color grading tool for video. At MVMG, we use DaVinci Resolve in a shared server/workflow environment to ensure highest quality and fastest turnaround times. At MVMG, our friendly and knowledgeable staff are here to make the process as easy and seamless as possible for you. We can get your film graded from practically any format. We’ve pretty much seen it all. Not only are we good at what we do, but our rates are very affordable. Our prices are designed to be affordable for indie and small corporate projects, while still being scalable for those big projects. This allows indie projects the opportunity to work in the big leagues, alongside larger projects.